1. 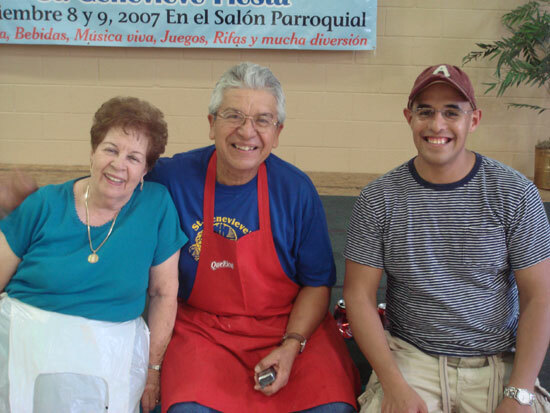 Julia Holguin, Al Lopez and Father Ray Flores enjoying our fiesta. 2. Some of our fiesta volunteers: Ann Wright, Monica Guerra, Pat Guerra, Veronica Garcia, and Cecilia Flores. 3. Elias Bernal and Carla Floyd making our famous gorditas. 4. Lou Ann Paz painting faces. 5. Matachines leading the procession. 7. Peruvian dancers, huayno rhythm. 8. Peruvian dancers, afro rhythm.